@Xeo786 , it is just pasting code in excel,not the selected text. 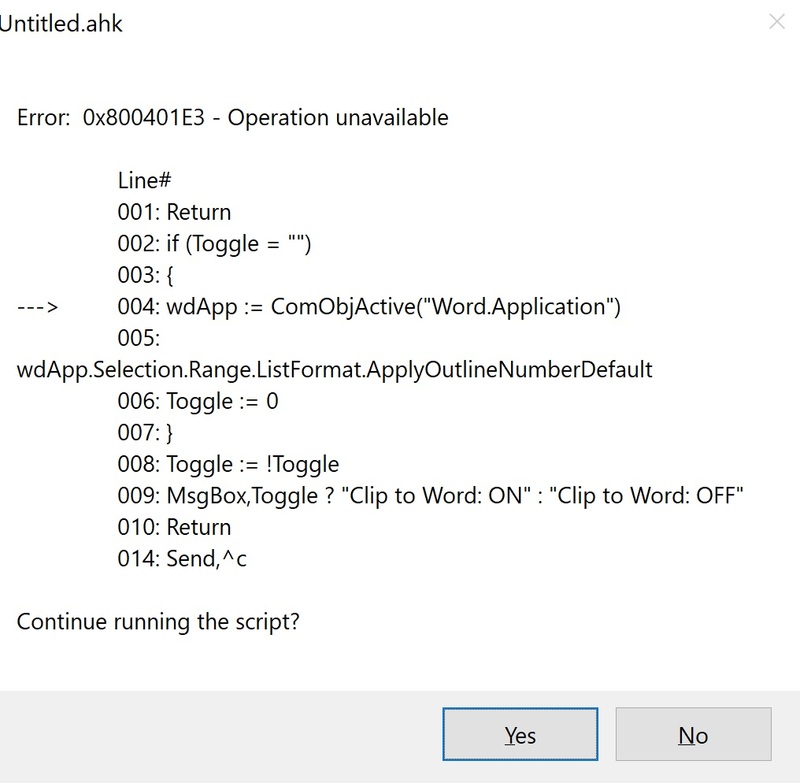 I am getting this error while running the script and it is not pasting the copied text in word. Can formatting be disabled in the script ? it was just a free article , pdf. @nwb also thanks a lot. Any possibility of using this , to use Microsoft Word ? All i need is to create , more than 10 sub headings . Anyway to do it ? For 1.1 , 2.1 , .... It only shows prompt that 1.1/2.1 .. is created but it does not paste it in txt file. Can this be used to create something like this ? But , it does not put the selected text on new line and does not number the text. I will settle with the notepad. Its ok. Thank a lot . I really appreciate your support. I used the refined script but still nothing is pasted in wordpad , but , if i press "q" on wordpad , it pastes the last selected text. Yes , the wordpad is maximized. But , nothing is pasted in wordpad. I did not get this line .